“Taking a break” from social media isn’t nearly as intense as it is from drugs or alcohol, but it’s still not easy for me. A lot has been written about the advantages and disadvantages of social media, by people much smarter and more educated than myself. I’m not going to get into the statistics and studies, but they’re out there. Social media was, and is, another addiction for me. It was starting to negatively impact my life, and I know I’m not alone. 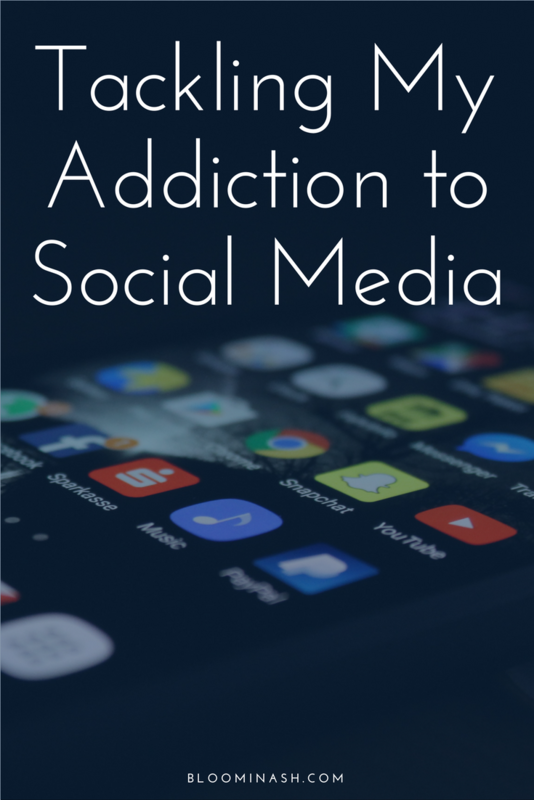 That’s the only criteria I need to acknowledge that something is an addiction. Is it negatively affecting my life, and is it something that I’m doing even when I don’t really want to? Then it needs to be addressed at some point. It could be sugar, caffeine, french fries, social media, shopping. Whatever it is, if I’m compulsively indulging as a means of escape, and it starts to negatively affect me, I can’t ignore it for very long. I’ve learned to pay attention to mindless, compulsive actions that negatively affect my life. If I let it go too long, more damaging activities also start to look enticing. It’s weird how that works, but I try not to overthink it. I’ve just seen it happen enough to trust that it’s easier to nip it in the bud when it’s spending too much time Facebook, rather than trying to reign it back when I’ve moved on to romanticizing liquor for too long. So, I decided to shut it down for a few days. No set timeframe, but at least 100% cut off for a few days. Today is the 4th day without any Facebook or Instagram. Those are the primary places that I spend my time on social media. Lots of time. And I have good reasons to spend time there, honestly. There are wonderful people on social media that I would never have met, or never have been able to stay in touch with, without FB or IG. I’ve met clients on Facebook, and picked up new website projects. Some of my closest friends were originally “online friends”. I do not hate on social media, by any means. But I have to change something. Last week, I spent hours doing nothing. Just scrolling along. Posting along. I felt the numbing, the avoidance, and eventually the craziness that comes from too much noise and avoidance. It’s not about politics or ideology or the usual things that people complain about when it comes to social media. It’s just about the constant onslaught of everything. All the noise is too much. Even if everybody in my feed were happy and positive all the time, I’d feel the same way (and I know, because my Instagram feed is the happiest, most positive feed ever, and I still feel this need for silence). I didn’t make some big plan to do this, but I heard a Being Boss podcast episode where they talked about a “Digital Detox”. I’ve taken a few weeks off before, but it spoke to me. It’s actually been almost 7 years since I last took an extended break from social media (that I can recall). SEVEN. YEARS. Holy crap. I went on a 2 week hiatus back in 2009 or 2010. Back then, I didn’t use social media like I do now. It was just a place to share my opinions and photos. Now I use it for work almost more than I do personal. I’m in Facebook groups, connecting with potential clients, building relationships all over the world, talking to struggling women who ache to be sober, and of course I share pictures. Because that’s what I do. Traffic to my blog will completely tank. Reality: So far, traffic is steady. Sweet! Pinterest and Google search results are driving a lot of the traffic from the past few days, which is so encouraging. I may not make a living from this blog, but I put some time into it. Not just writing, but promotion, collaboration, graphics, design, etc. It would be a bit of a buzzkill if traffic went completely to zero just because I’m not showing up on social media every day. Thankfully, that hasn’t been the case. 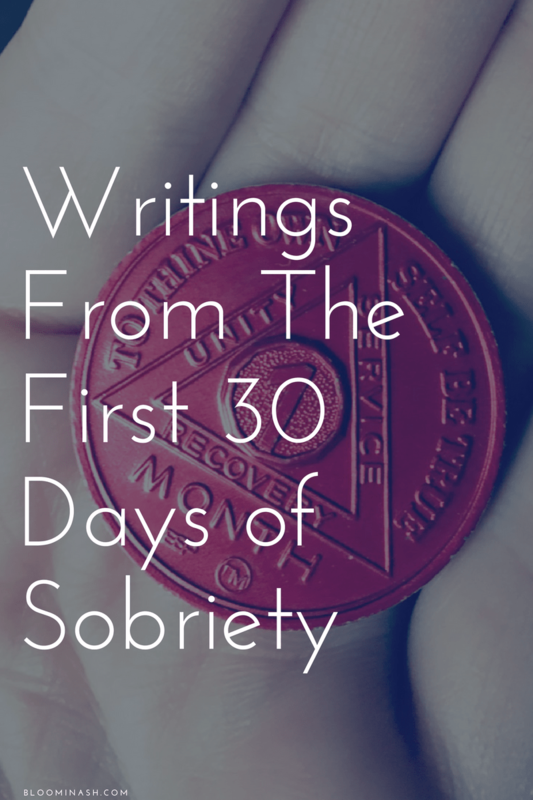 People are searching for recovery, how to get sober, getting sober, the first 30 days of sobriety, and on and on. How great is that? You are not alone. Not by any means. I will be insanely bored. Reality: I am never without something to do, even if that “something” is to chill out. This one is funny. As if I had nothing better to do than be on social media, and without it, I’d just sit around twiddling my thumbs. But it was a fear, so logical or not, let’s talk about it. I’ve checked off important projects that have been lingering, checked in with website client leads, talked to friends that I haven’t really talked to in months, written poetry and short stories and a zillion half-blog posts that I can now finish, and I could go on and on. The house is clean, my kids are fed, but most importantly – I am calm in the midst of all the “busy”. When I try to go to FB or IG (and I try a lot, out of habit), I have a Chrome extension that redirects me back to a Trello board. It has all of my to-do tasks, my goals, anything I need to remember why I’m taking this break. That extension is called “Blocksite”, and I love it. The few times that I haven’t had much to do, I’ve just felt relaxed and present. 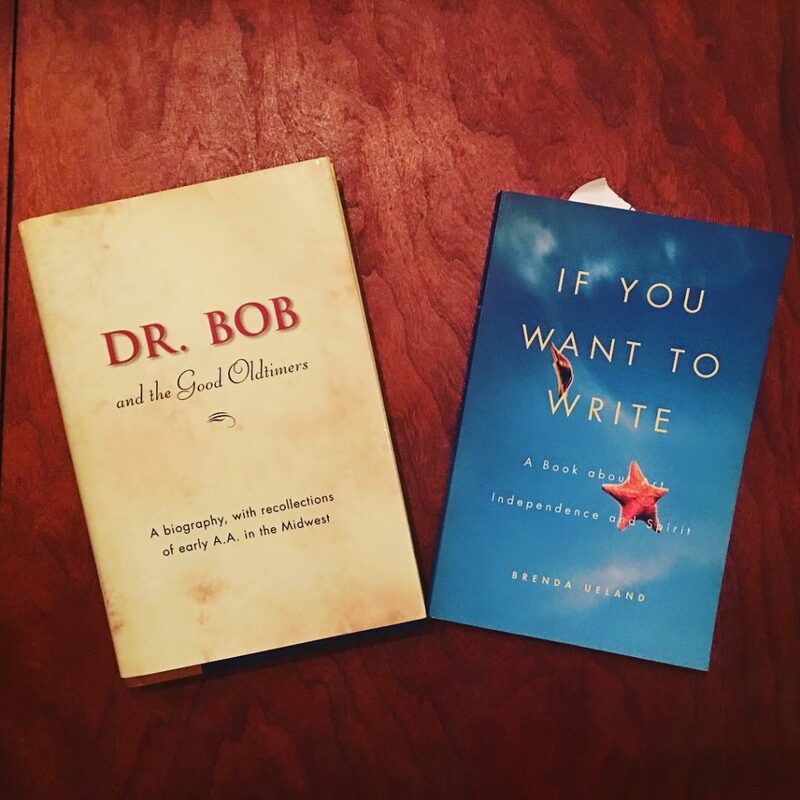 I’m reading Braving the Wilderness by Brene Brown , Dr. Bob and the Good Old-timers , and I just finished If You Want to Write by Brenda Euland . So this one is even more egotistical and vulnerable than worrying about my blog traffic, but they are essentially the same fear. For me, it always feels like if I fade out of the crowd online, I will just disappear. The internet is my home in many ways. 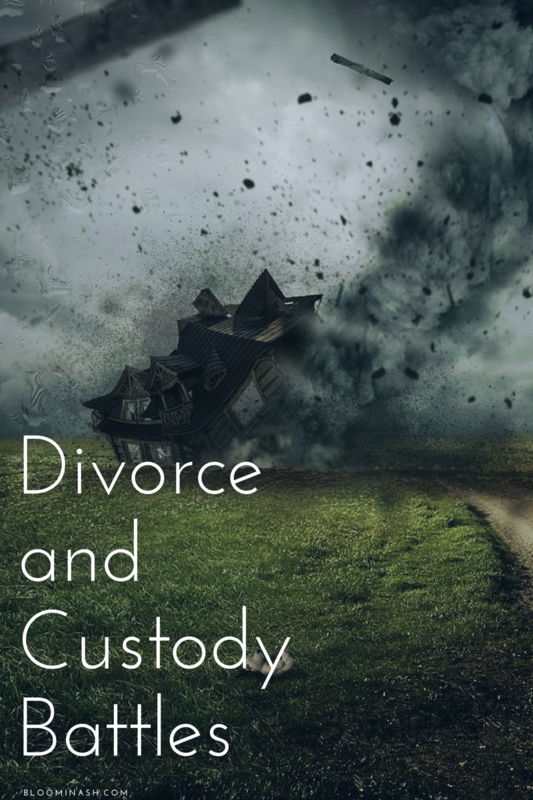 I’m comfortable writing and connecting online with other people who are also comfortable writing and connecting online. I was somewhat afraid that if I backed out, people would just continue on as if I was never there. I want to feel like I matter. That I’m important to somebody, somewhere. I find a lot of that on social media in these micro-doses all over the place. If that stops, do I still matter to somebody? That’s the ultimate fear. Silly or not, it’s real. Reality: Of course I matter to somebody. It may not be a relative stranger in a 4,000 member Facebook group, but I matter to my family, my friends, and the immediate circle of people that I talk to on a regular basis. Ultimately, I also matter to God and to myself. Now that’s important. A few friends have texted me to check in, say hi, and chat. I’m not taking a break from tech altogether, just social media. Emails, texts, website developing, blogging, all of this is fine for me right now, and I’m still connecting with people. It’s only been 4 days, so I don’t know how it would look over a longer period of time, but this little bit helps. I may be an introvert, but I am not shy or socially anxious (anymore). I love people, and I love getting to know individual people with their stories, their hopes, their dreams, everything. Now, instead of having that essentially spoon-fed to me on social media, I have to seek it. I have to be more intentional, and more available to the people in the here and now. My God is a quiet and subtle God sometimes, and it’s important for me to be still and listen. When I shut off the social media input, I could hear God’s voice more clearly. I hear the whispers, I feel the nudges, and I stay better connected to Him and everything around me. Right now, I’m wrestling with how to continue this social media break during the work week. It’s a lot easier on a weekend, but social media is part of my job and I didn’t plan this out in advance. Meaning, there are no scheduled posts (not just for my blog, but clients I work with as far as website/social media work is concerned). There’s no right or wrong way to do this, so I think I’m just going to take this one moment at a time and not make it a big, stressful thing. I’m going to share this post, for one thing. I can set up and schedule my own as well as client posts without having to spend much time on Facebook itself. It’s still early days. I’ll be sharing more on this in the future, I’m sure. This past weekend, I went to a Recovery Campout (put on by AA). It was fantastic, and just the right time to take a break from FB and IG. 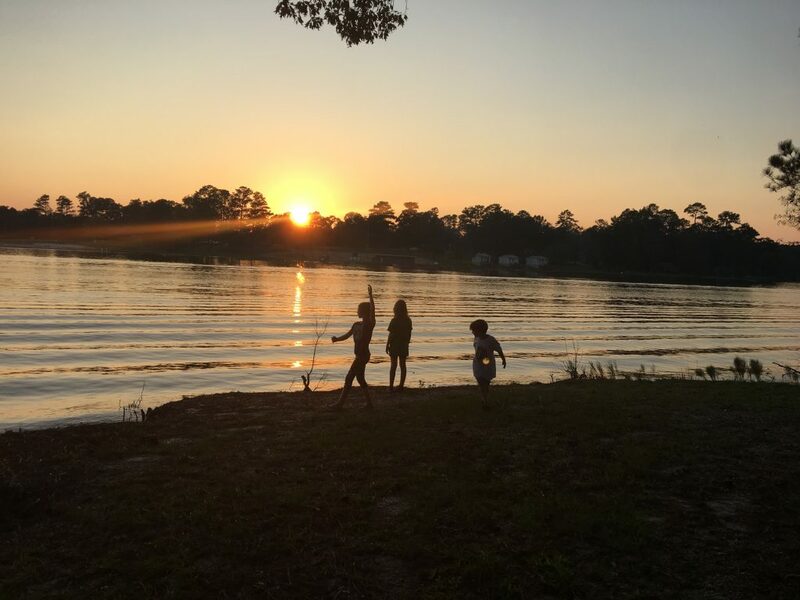 I have another post in the works about the lessons I learned there, but in the meantime, this is what a sunset without a filter looks like (and apparently, my daughter doing some kind of interpretive dance). 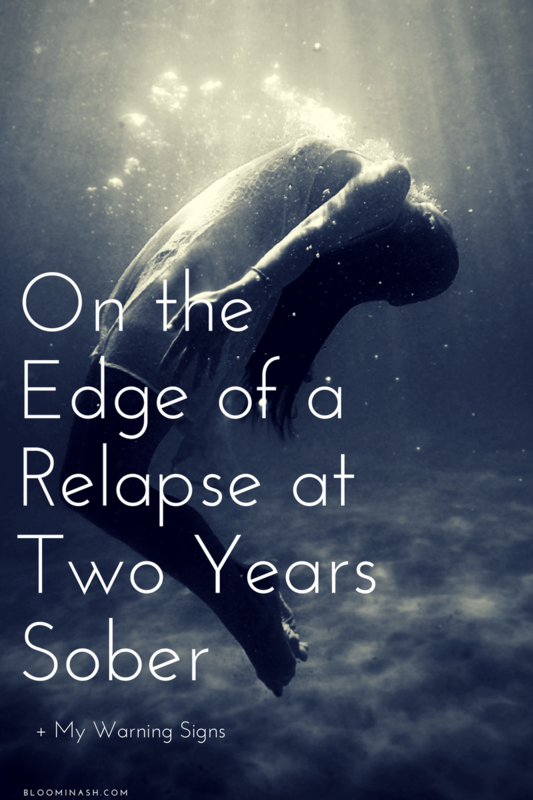 What addiction(s) do you either struggle with, or have broken free from (one day at a time)? Leave a comment! You never know who it could help. Ya know? I struggle with this so hard. It’s mainly FOMO. What when I just mindless scroll on IG or Twitter, I learn, nothing there is of true in the moment significance. Like yourself, I am part of groups on Facebook (especially for being a young widower) that I feel the need to visit daily, or every other day. But, then again, there is a HUGE rabbit hole I always end up down lurking there. I’ve taken my energy to cathartic and thoughtful social media. Reddit. There is a subreddit for everything. Usually small, and people respond with great content. But yes. 2018, I want it to be the year of unplugging. Addiction is addiction, and you’re right. #ODAAT. It really is FOMO. I do think there’s something to be said for “being there” for friends, and connecting with a real support system, even if it’s online. But of course, I tried to connect outside of social media as well. I’ve noticed that even now, I’m getting back into mindless scrolling. Reddit is a good idea, I haven’t really been there much but the few times I have been, it’s been pretty helpful. Maybe I could try to find a bloggers Reddit, or recovery Reddit, so it doesn’t feel as noisy as it does on FB. It is correct that the craze for social media has increased a lot these days. Not only adults, but even children of a certain age have their own accounts on social media like Facebook or Instagram. Moreover, they have such friends, who are already famous on these media. So, to be with people, or to remain in the group, some start using social media. I too feel sometimes that I spend most of my free time on Facebook. Social media is not bad but too much of it can take you away from your own people who are craving your time when you are busy chatting with your friends. This awareness has to come among the people. Thank you for sharing this.